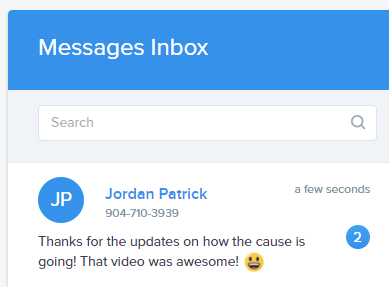 We're excited to announce some great NEW features to add to your Harness "Connected Giving" platform! After extensive Product Research in the Nonprofit space and receiving tons of great feedback from clients, we embarked on a mission to give our clients the easiest way to connect with their supporters via text messages! We arrived at the following additions that are now LIVE and FREE updates to your current Admin Tools (available in your Harness Admin Dashboard)! Keyboard Emojis - Now you can add your favorite emojis to your messages in just one click! Emojis are now available on NEW Messages! If you would like more information or a walk through on any of these features, please reach out to your Harness Success Team Member and they'll be glad to help! And as always, thank you for being Harness Clients! Mar 1 Announce the NEW Round-Ups Landing Page! Dec 14 What's on your Nonprofit Wish List?